Also known as: Tuesday check-in! The trusty Fiber Trends felted clog pattern is such a good one! Some of it does take a little bit of attention, but there are lots of plain knit rounds – and since the yarn is held double and worked on US 13 / 9mm needles, it goes super fast. I’m using Cascade 220 from my stash, and it feels good to use stuff I already have. 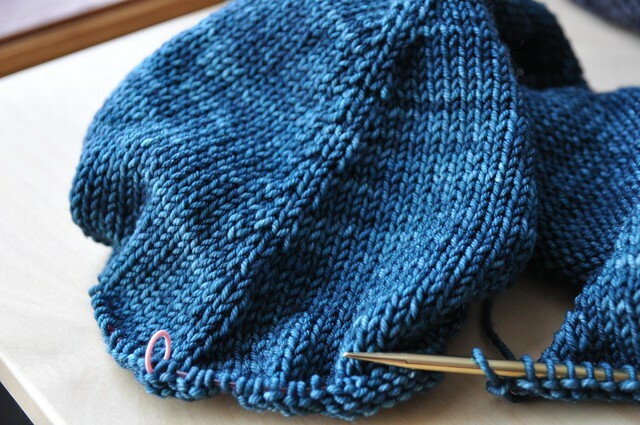 I did cheat on the clogs by starting a new sweater yesterday though. 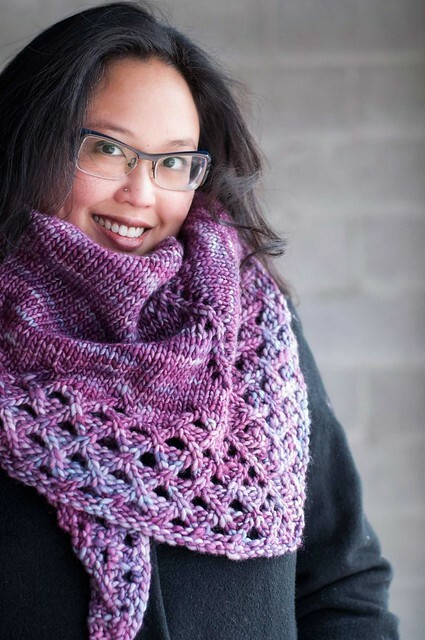 Anzula’s For Better or Worsted is just lovely! 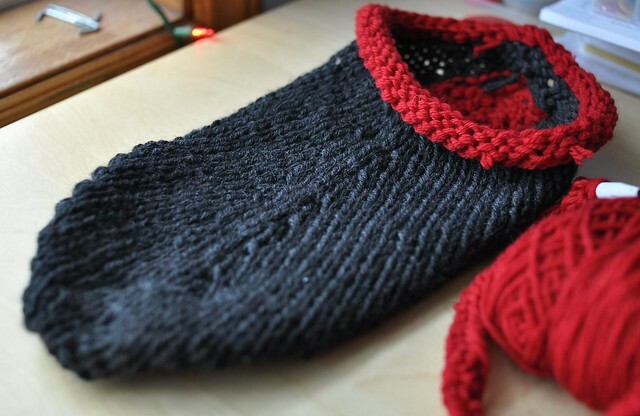 I only have a small amount of yarn, so I’m planning to make this one shorter-sleeved. Over the weekend some friends came over for an epic caramel making party, which was so so fun. It took the 4 of us 5 hours to make 3 different batches of caramel, including cooling (which could have been longer), wrapping, and a lot of knitting and chatting. None of us had made caramel before, but it was nice to work on it all together! The chocolate ones (recipe from Martha) set really nicely. They look like Tootsie Rolls, but they’re much softer and darker. The vanilla + sea salt ones are pretty runny, but delicious. Recipe is from the Homemade Pantry. Not pictured, bourbon sea salt! I didn’t stir enough when adding the condensed milk, so it got a little brown on the bottom, but it turned out totally fine. So good. 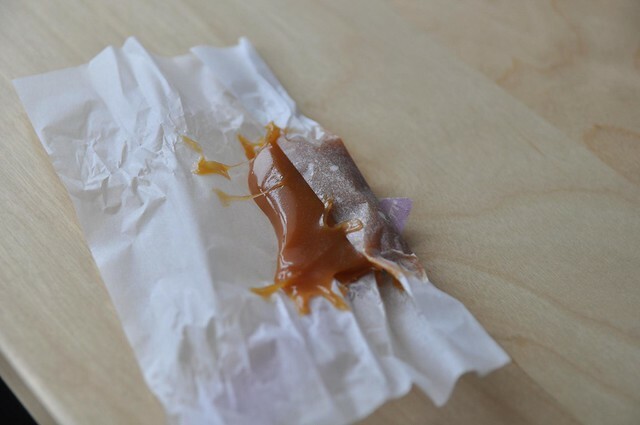 It was interesting to try out different recipes – the vanilla caramels used a lot of heavy cream and a tin of Lyle’s Golden Syrup, while the bourbon ones had a can of condensed milk and corn syrup. 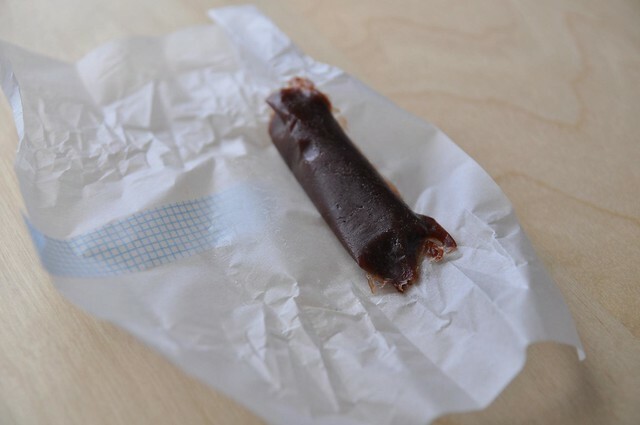 I think I’ll try making the vanilla ones again, but this time cook the mixture to a bit of a higher temperature for a slightly firmer, more chewy caramel. Watching: Just watched the Walking Dead mid-season finale (omg) and caught up on season 4 of Boardwalk Empire. I think I need to watch something lighter for a bit. Reading: Asunder by Jodi Meadows – quick read, engaging, and I was able to take out the eBook from our public library!